In the 1950s, Stalin increasingly withdrew from Secretariat business, leaving the supervision of the body to Georgy Malenkov, possibly to test him as a potential successor. In October 1952, at the 19th Party Congress, Stalin restructured the party's leadership. 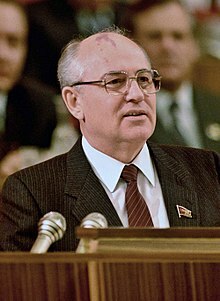 His request, voiced through Malenkov, to be relieved of his duties in the party secretariat due to his age, was rejected by the party congress, as delegates were unsure about Stalin's intentions. In the end, the congress formally abolished Stalin's office of General Secretary, though Stalin remained one of the party secretaries and maintained ultimate control of the Party. When Stalin died on 5 March 1953, Malenkov was the most important member of the Secretariat, which also included Nikita Khrushchev, among others. Under a short-lived troika of Malenkov, Beria, and Molotov, Malenkov became Chairman of the Council of Ministers but was forced to resign from the Secretariat nine days later on 14 March, leaving Khrushchev in effective control of the body. Khrushchev was elected to the new office of First Secretary at the Central Committee plenum on 14 September of the same year. Originally conceived as a collective leadership, Khrushchev removed his rivals from power in both 1955 and (especially) 1957 and reinforced the supremacy of the First Secretary.